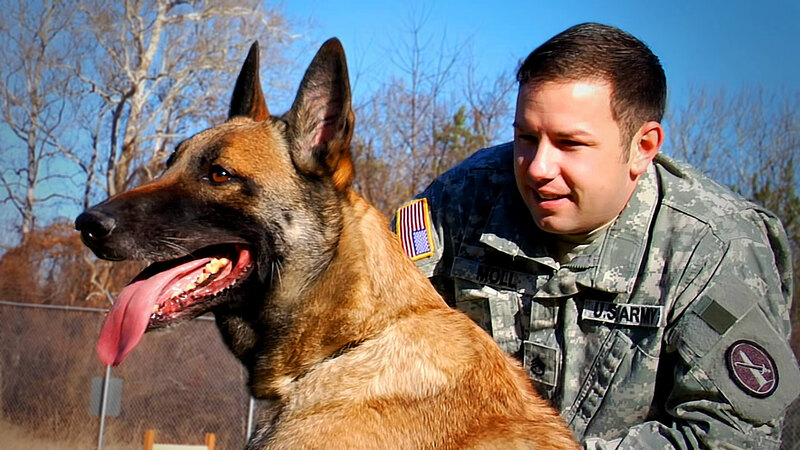 Meet Helo, Bubba and Oscar, three incredible military working dogs based at Fort Meade, Maryland. Together, with their Army Handlers, they protect the men & women of the United States Armed Forces both here and overseas. Wow, what can I say? This, our most ambitious episode of the Dog Files, was years in the making and I truly believe, one of our best yet. I couldn’t be prouder of final outcome. My hope is that by watching the video, people will gain an understanding of what dogs are capable of and what they do for us. I’d like to thank the United States Army, SGT Ted Perry, SSG Anthony Moll & Helo, SGT Timothy Roye & Bubba and SSG Arthur Jones & Oscar. Thank you so much for welcoming the Dog Files into your life and opening up your world in a heartfelt and truthful way to us. And THANK YOU for your service! We are safe because of you. I’d also like to thank Tyler Ginter, who made the entire episode possible. And good friends and colleagues,Khalid Mohtaseb and Kevin Griffin for spending two days with me filming this at Forte Meade. P.S. 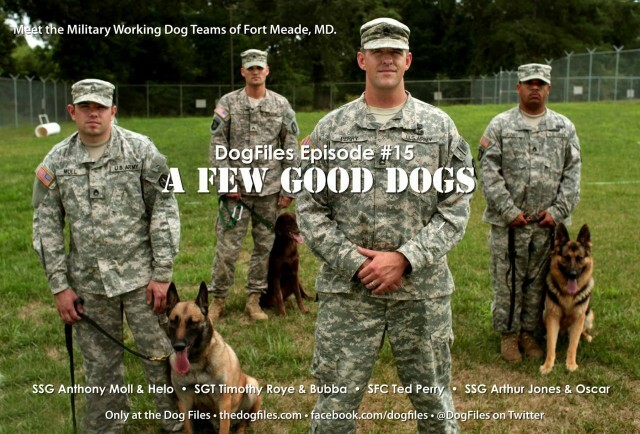 Make sure to watch past the credits to see the crew putting on the bite suit and finding out what it’s like to be on the hazardous side of a military working dog. I was unable to embed the video but you can view it here! Enjoy!